A viable target solution to replace all transportation fuels, Synthetic Diesel or Syndiesel can be produced from almost any biomass. It is sustainable and can be produced in almost any geographic location. While companies and universities world-wide have various processes, ETC Green has built relationships with research and development firms that have announced a timely path to financial viability for this solution. We are now playing a role as a test site for these emerging technologies. Biodiesel has much higher lubrication properties than petroleum diesel. This results in reduced internal engine wear, enhanced performance, reduced operating costs and extended engine life. Engine efficiency is improved due to higher cetane ratings and a more complete combustion of fuel. Engine starting is easier and white smoke is almost completely eliminated. In the past 4 years, over 75% of vehicles sold in some European nations are powered with diesel engines. * Beginning in 2005, Belgium data also include Luxembourg. Note: Total includes Austria, Belgium, Denmark, Eire, Finland, France, Germany, Greece, Iceland, Italy, Luxembourg, Netherlands, Norway, Portugal, Spain, Sweden, Switzerland, and the United Kingdom. Source: Automotive Industry Data Newsletter, Nos. 0102, 0302, 0501, 0602, 0702, 0714 and 0904. Most of these vehicles are powered by the new Common Rail Diesel (CRD) engine and include a Turbo Direct Injection (TDI) fuel system. TDI specifications include fuel injection pressures around 30,000 PSI. This extreme pressure virtually atomizes the fuel so combustion is far more complete. This more complete burn results in higher engine efficiency, better mileage and lower emissions. The use of Biodiesel has no impact on your diesel engine’s warranty. Engine manufacturers specify a “recommended” fuel for the engine, based on its original design. Engine warranties do not cover fuel, either biodiesel or petroleum diesel. The Magnuson-Moss Warranty Act of 1975 protects consumers and allows the choice of fuels and replacement parts. A vehicle warranty claim can only be declined if the manufacturer can provide specific proof that the fuel directly caused the failure. By all responsible reserve projections, petroleum sourced fuel will no longer be available within the coming decades. Therefore, with reasonable economic, engineering and environmental considerations, this leaves only vehicles powered by biofuels. The study then identifies two large scale sustainable, environmentally friendly sources of biofuel: jatropha today and micro algae in the coming years. Daimler is now funding jatropha orchards around the world, partnering with large agricultural firms including the Archer Daniels Midland Corporation (ADM) in the USA. The following is a quote from the study. All the major vehicle manufacturers are now designing and building cars and trucks that use these advanced diesel engines and many are engineering the vehicles to use biodiesel fuels. There are now over 120 vehicle make and model options that run CRD engines in the US market. JD Powers and Associates and other polling firms are reporting that advanced diesel vehicles may outsell gasoline only and gasoline/hybrid powered vehicles in the US by 2014. Ponder the concept of a 20%-40% volume reduction in fuel usage and emissions when comparing same make/model vehicles in the gasoline vs. advanced diesel versions. The car manufacturer, Audi, has produced the following consumer awareness video to communicate exactly this concept. Emissions drop even more if biodiesel blends are used (DOE-42562.pdf). As compared to petrodiesel, biodiesel has radically reduced emissions: use of B100 completely eliminates lifecycle carbon dioxide emissions (CO2), it also reduces emission of particulate matter by 40-65%, unburned hydrocarbons by 68%, carbon monoxide by 44-50%, sulphates by 100%, polycyclic aromatic hydrocarbons (PAHs) by 80%, and the carcinogenic nitrated PAHs by 90% on an average. The biodiesel molecules are simple hydrocarbon chains free of the aromatic substances and sulfur associated with fossil fuels. It should be also noted that some car manufacturers have canceled their gas hybrids and EV model development projects completely for the simple reason that large and expensive battery packs are not sustainable. Vehicles dependent on current production-ready battery technologies have mineral requirements for their manufacture that are becoming more scarce and less than 50% of the battery materials can be recycled. The resulting waste is a significant and hazardous landfill issue. Consider that there are over 300 million vehicles in the US today and over 2 billion vehicles in the world. Successfully demonstrated battery technologies for hybrid and EV vehicles are lithium-ion, nickel-metal-hydride and nickel-cadmium. The sheer volume of minerals needed to manufacture these large battery packs for even one or two percent of the total world vehicle market is simply not available (lithium reserves reference document). We should be discussing “peak minerals” in the same conversation with peak oil. China recently announced that they would no longer make their nation’s minerals available on the world market. Consider the new Chevy Volt will be manufactured with a 16KW battery. Converted into a standard energy unit such a battery represents about 55,000 BTU. A single gallon of biodiesel contains 120,000 BTU of energy. So a fully charged battery on a Chevy Volt provides the energy of less than 1/2 gallon of biodiesel. When the battery of the Volt is depleted which is an estimated 25-30 miles in the southwest due to the mountainous terrain and intense heat, the car must not only still haul around the 700lb dead weight battery and recharging hardware, but the gas engine has to run harder to recharge the battery. The replacement cost for a Chevy Volt battery is an estimated $9,500. This Lithium Ion battery currently is only 11% recyclable and the limited lithium reserves suggest that the raw minerals needed for the manufacture of more than a few million vehicles utilizing these batteries are simply not available – therefore they are not sustainable. EV’s also require a major shift in infrastructure for recharging, maintenance, insurance, safety, lifestyle, financing and performance expectations. Volkswagen’s diesel powered Jetta TDI (50mpg) won “Green Car of the Year” for 2009. Please note that in this time of media confusion, the “Green Car of the Year” is not a hybrid or an EV, but rather is powered by a Common Rail Diesel engine. Sierra Club Executive Director, Carl Pope along with Jay Leno and several other noted car and transportation experts served on the selection panel. This was the first diesel powered vehicle to win the honor and the justifications include higher MPG, lower emissions, excellent safety, performance and handling, and a key concept … sustainability of the fuel. Biodiesel and syndiesel production cycles (production and vehicle use) can be carbon neutral or even carbon negative. In contrast, the Toyota Prius runs only on petroleum based fuel which is not carbon neutral, is not renewable and therefore is not sustainable. And for a second year in a row, the 2010 Green Car of the Year® jury selected an advanced diesel – TDI: Audi A3. The panel included six environmental and automotive experts plus a smaller number of Green Car Journal editors. Invited jurors include Dr. Alan Lloyd, president of the International Council on Clean Transportation; Carl Pope, executive director of the Sierra Club; Jean-Michel Cousteau, president of Ocean Futures Society; Matt Petersen, president of Global Green USA; automotive expert and television host Jay Leno; and automotive icon Carroll Shelby. Volkswagen has published an excellent Q&A document on TDI Advanced Diesel vehicles. 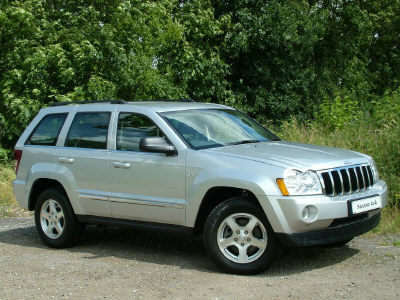 The ETC Green Survey vehicles are Jeep Grand Cherokee SUV’s powered by a Daimler designed and manufactured CRD engine. While it is a large 4WD SUV necessary to haul trailers to install wind turbines and for off-road surveys, it achieves 52mppg on the highway and we run only biodiesel blends. The emissions from our Jeep are actually significantly less than the emissions from a Prius performing the same workload.